This is not really practical – just some fun stuff and attempt to make use of a readily available code snippet. 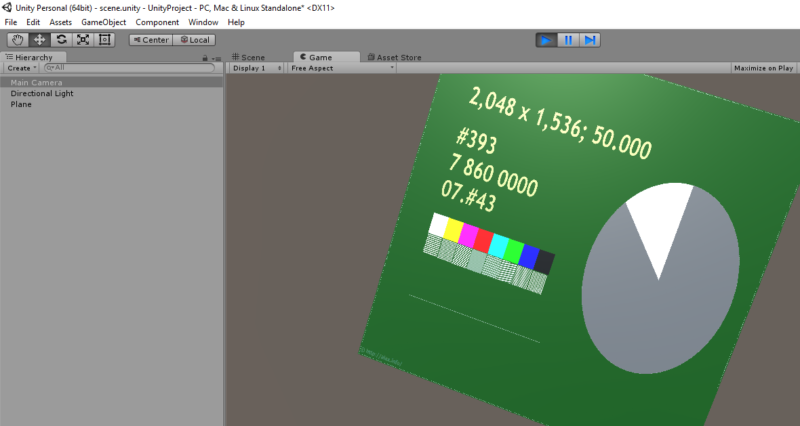 So… reference signal in Unity 3D game engine through Media Foundation and Direct3D 11. The scene thus contains a plane with custom material updated on the backend with Media Foundation produced data. The demo is not really about performance because so many things can be done to improve it and make it well… done right. Threading, tighter Direct3D integration, use of proper Direct2D render target etc. The demo is really about integration itself. Nevertheless, 2K texture is streamed well at full rate.